Biotic stresses are one of the most important factor that have a substantial effect on crop growth and development and, finally, responsible for enormous losses of crop yield. Worldwide crop yield is reduced of about 25% due to diseases and insect infestation. Within different crops, worldwide vegetable production and consumption are constantly growing as a result of countless findings that attest their beneficial health properties. The quality target is an aspect that is increasingly considered within productions destined for modern consumption. This objective can be pursued through the improvement of one or more quality attributes. This issue seems to be very complex if we consider the relevant differences that characterize the vegetable production industry starting from crops, genetics, commodities, pedoclimatic conditions, agronomic and technical points of view. Biotic stresses can play a double role in conditioning vegetable quality with positive or negative consequences. Considering the complex modes of stress signaling by the plant, secondary metabolism is greatly affected by the generation of reactive oxygen species (ROS), hormonal components, and enzymatic activity. It is easy to assume that the effect of biotic stress is negative for product quality, but in some cases there is a potential utility of these metabolites for the consumer health. Paradoxically, the presence of stress during the cultivation of some species can be a crop extra value under the health profile. 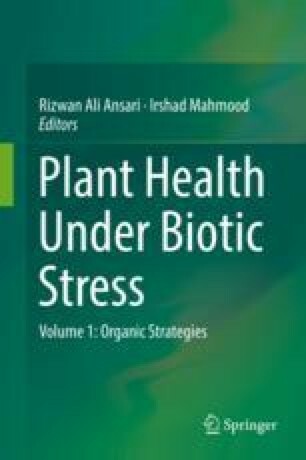 This chapter will seek to provide some guidance on the relationship between vegetables and biotic stresses, highlighting the consequences of biotic stress, the possible impact on the quality of vegetable crops, and some possible solutions.